Summer is over and it’s easy to spot the children who went to camp. They advocate for themselves. They’ve grown in their skills and interests. And they never stop talking about their summer. But campers share other similarities as well. Children who went to camp always want to play outside. They re-create games they made up with their cabinmates. They have the same rain-or-shine attitude about being outside and they tire more easily from video games and screen time. Campers know real memories are created through shared experiences. Campers are surrounded by their peers from sunrise to sundown. They understand the importance of collaboration. They learn quickly when they work together they have more fun. They are happy to share their ideas on how things can be better and know how to listen and integrate input from others. Camp is all about having fun for campers, which is often facilitated by counselors. Having fun with and listening to counselors is a unique experience for children. They’re adults who haven’t yet lost their childlike wonder whose only agenda is to create a fun, positive and safe experience for their campers. The staff at America’s Finest Summer Camps is comprised of a wide range of people that hail from countries scattered all over the globe. America’s Finest Summer Camps becomes a place infused with so many cultures and new traditions in the summer when staff come from places such as New Zealand, England, Mexico and South Africa. When all these people come to camp it can provide campers and other staff members with valuable insight into different lifestyles and help them learn about cultures that differ from their own. It is so valuable to have these international staff members because it helps America’s Finest Summer Camps become a summer experience enriched with new ideas and cultures. 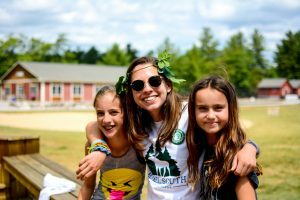 Internationals can help bring new songs to sing around the campfire and new types of friendships bracelets to make for your friends, mixing up the regular everyday American camp customs. They also inspire people to travel and experience new things, broadening minds on different opportunities to take advantage of across the world. It is so important to have international staff so that the campers can still keep learning even in the summer. Even though summer camp is supposed to be a break from school, campers are learning so many important lessons and things about all these different cultures when they come to America’s Finest Summer Camps. International staff helps campers remain curious and ask questions about things from all over the world, making America’s Finest Summer Camps a better place for campers every summer. At America’s Finest Summer Camps, we get to practice this idea of belonging to one another. It’s a such a small community, we remove (almost all) technology, and we get to simply life and laugh and learn together. We make beds, share chores, play on teams, applaud the actors, and frolic together all day. It’s magic, isn’t it? Idea #2: Keep a gratitude journal. You talked about it every night at camp with your counselors. Why not do it at home? Get a small notebook, place it by your bed, and jot down your happies from that day every night before going to bed. Want extra credit? Share those thoughts with your parents. It helps you be more in the moment and realize what’s really important in your day. When the sun goes down and the moon rises over the camp, the entire vibe changes. What was just a high energy playground of fun and adventure turns into a calm, peaceful retreat in the mountains. And away from the city lights, the stars shine brighter than you could ever imagine! Just picture sitting with your fellow campers, searching for shooting stars and admiring the overwhelming majesty of the nighttime sky. Campers and counselors enjoy sitting in adirondack chairs and finding constellations in the sky. Not only is it a great way to relax and unwind after a busy day, but it’s also an opportunity for exploration. The campfire is a traditional part of the sleepaway camp experience and brings campers together unlike any other part of camp can. The bright reds and orange flames dancing against the black sky create an intimate and exciting environment in which campers can talk, sing, roast marshmallows, be silly and make memories. A campfire is a place where campers can reflect on their day, where they can share their adventures and stories with other campers, and where they can feel connected with nature. Many campers say that their nightly campfire meetings were their favorite part of camp, as it was a special way to end the day. You can’t do a sleepaway camp without a traditional campfire, and America’s Finest Summer Camps know how to do a fire right! There’s nothing more endearing than watching a camper experience the magic of fireflies for the first time. Fireflies put on an illuminated show for campers as they make their appearance each night. The laughter and excitement that comes from catching one of these little creatures and examining them up close is an experience that many campers have for the first time at camp. These bright little flying bugs turn night time into a light show! As the campground settles down and busy campers head back to their cabins, more memories await. Cabin time allows campers to have quiet conversations with their bunkmates and share stories and details about their lives. This low key, quiet time is a great way for campers to connect with each other without the distractions of the day. This time gives campers a chance to journal or do some self-reflecting, prepare for the next day or simply get some much-needed rest. America’s Finest Summer Camps are packed with fun, new adventures, new friendships, and excitement all day long. But when the sun goes down, the fun doesn’t stop. 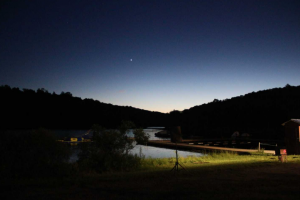 Campers love night time at camp because it brings a whole new feeling and vibe to sleepaway camp. Each night, campers fall asleep with images of campfires and fireflies dancing in their heads and wake up from a good night’s rest ready for another day of fun. As we reach the end of summer, many campers are now on the slow march towards back to school season. School is supposed the spot for learning and camp for fun, right? Well…. We built a lot of wonderful memories at camp this summer. Amazing traditions, new friends from lots of different places, great daily activities and hilarious evening events. We laughed and played and learned together. So, if we think of summer camp as a place that reminds us, then what memories will be important to take into school? I’ve got a few ideas. You’ve also remembered life is a lot easier, more fun, more interesting when you can live as… well, you! That’s an easy lesson to forget when you are plugged back into school and into your phone.Just be yourself… everyone is taken anyway! When you spend eight summers of your life at the same summer camp, you get to reflect on all the magic you’ve experienced and memories you have made at a place that is so special and unlike anywhere else. 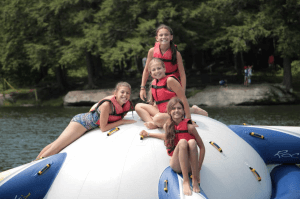 At America’s Finest Summer Camps, senior campers truly get to experience every single aspect of summer camp, transitioning from summer to summer with more responsibility and more fun. Older campers get to see every angle of camp and experience every special activity, they really do it all. However, when the last night of the last summer comes, it always arrives too quickly for these senior campers. 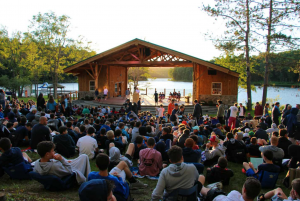 Reflecting back on every summer spent at summer camp, here are the things that senior campers will miss most about camp when they have to say their final goodbye. 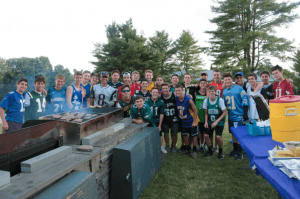 The Traditions: They will miss all the iconic traditions that define America’s Finest Summer Camps because that is what makes a summer experience so special. The all-camp games, color wars and campfires all make for a picture perfect summer and these traditions are what transforms a normal summer into a magical one to remember. The Staff: Coaches and counselors really help define a camper’s summer because they are the mentors in their life guiding them to achieve their goals and overcome their obstacles for that summer. The constant support and belief is what helps a camper become the better athlete, the better artist and the better individual. 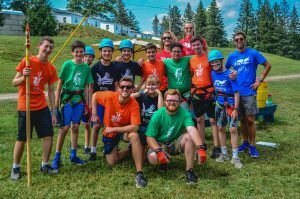 The Adventure: Campers are able to explore and feel an adrenaline rush practically every day on or off campus, traveling to different places and cities for special trips when they aren’t whizzing on the zipline or jumping great heights at outdoor adventure. The sense of adventure and opportunity to discover the unknown is an element of Camp Starlight that campers will yearn for the most. The Memories: Summer camp is unique in the fact that practically every moment can be transformed into a memory. 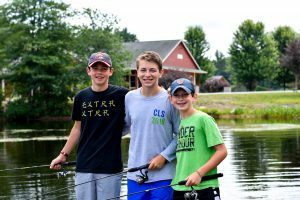 Every evening activity, special event or moment that made a camper smile creates a summer for campers to always look back fondly on, the memories these campers make with each other are unique and often the ones they never forget for the rest of their lives. 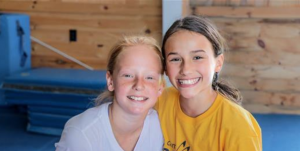 The Friendships: Since most campers don’t all come from the same place, summers spent at America’s Finest Summer Camps are so special since this is the only time campers are able to connect and bond with their camp friends. Camp helps form friendships that are so strong and unlike any friendship back home. The friendships are a vital element of what campers look forward to seeing every summer and will regret saying goodbye to the most. America’s Finest Summer Camps would not be complete without the picturesque waterfronts. These sparkling lakes are one of the main reasons that many campers call their summer home “the most beautiful place on Earth”. There are countless ways to explore the waterfront and each different experience is special in its own way. Here are our top picks this summer! Whizzing around the lake behind the speedboat is undoubtedly one of the best ways to enjoy the waterfront. Riding the sombrero with four of your best friends is a blast and the twists & turns form nothing short of a thrilling experience. One of the most relaxing ways to experience the lake is paddling around in a kayak. It’s the perfect way to appreciate the serenity of t lakes and enjoy your afternoon in the sunshine. Seated in the kayak you feel so close the water and it’s hard not to notice the calmness surrounding you. Gliding through the water on a paddle board is an incredible and relaxing way to enjoy the picturesque silhouette of the trees over the lake. Campers love to take the opportunity to paddle board as both a way to splash around and also to stop and take it all in while they’re on the water. Whether it’s on top of the slide, rocking on the rock-it, or making a splash on the avalanche and chaos, being on one of these inflatable contraptions feels like being on top of the world! Waving to friends on the dock as campers play and jump on the waterfront toys is a blast and definitely prime time for some of the funniest and best camp memories. Hiking around the lake is truly one of the best things our campuses at America’s Finest Summer Camps has to offer campers. Accomplishing a full hike around the lake is both an achievement and an incredible way to bond with your lifelong friends. Through paths and meadows, the scenery along the lake is often times just as beautiful as the water itself. Don’t miss it! Sharing is a value heavily instilled in campers from the moment they arrive at camp. When you step off the bus you join a community of people who look out for one another as family. Not only is this important during the summer, sharing is a skill that campers carry with them beyond the conclusion of camp. Sharing makes others feel good and in return, you also feel valued and warm inside. Sharing can be spotted around the corners of camp in many forms. Campers sharing tutus and stickers, speakers and decks of cards. The list is varied and endless! 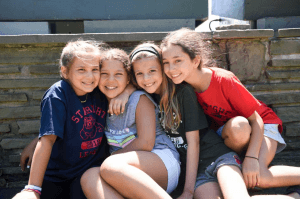 Additionally, our bunks are shared spaces for campers and counselors alike, and throughout the summer everyone learns the importance of working together within this area. The real demonstration of our campers’ fantastic sharing capabilities are proven during inspection when everyone shares the responsibility for taking care of their bunk. Many physical items are shared at camp, although perhaps the most important things shared here can not be touched or held. Time, laughter, friendship, advice and fun are all shared between both campers and staff daily and these things when experienced together at America’s Finest Summer Camps are magical. Whatever the name, the competition is often full of traditions regarded as sacred by campers and staff alike. The beginning of the games is invariably a surprise to campers and much of the staff with the reveal being is a closely guarded secret about which there is quite a bit of discussion and speculation in the days leading up to it. The breakout is unquestionably one of the biggest events of the summer and always on everyone’s list of favorite moments from the summer. Counselors are included in the action as team leaders and coaches. Well…I’m sure there are lots of things that would be useful. Personal qualities like independence, curiosity, patience, and empathy would be great. So would a sense of being able to learn and adapt. And don’t forget friends! They can make any journey not only successful but fun as well. Hm…. Sounds like we pretty much have everything we need here at America’s Finest Summer Camps to get where we want to go – a destination (creating awesome), values to guide us, a place to practice and experiment, and lots and lots of friends!